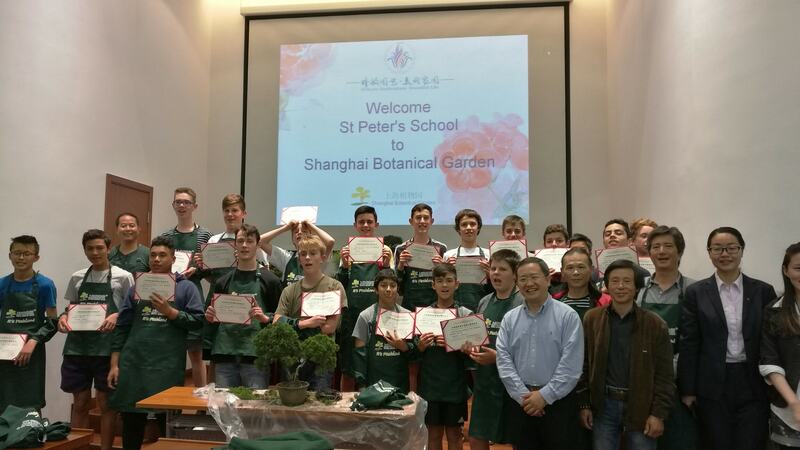 Landing in Shanghai, our St Peter’s group of 22 excitedly departed the plane. 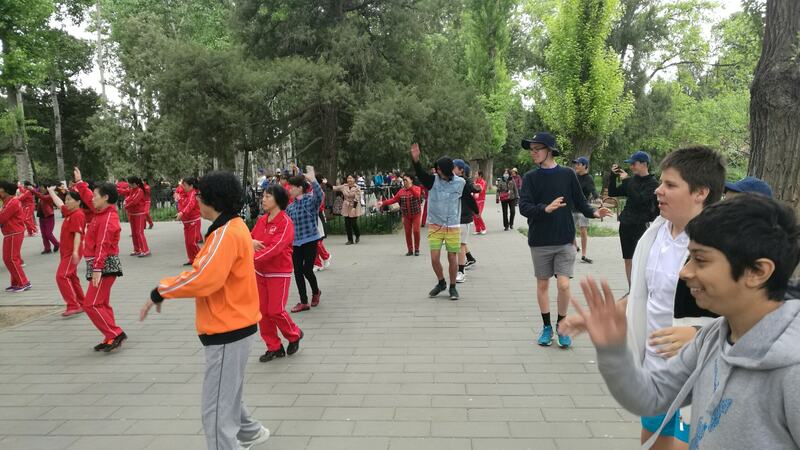 Quickly whisked through the labyrinth of Chinese customs, we were soon introduced to our local guide for the next two weeks, Lin. 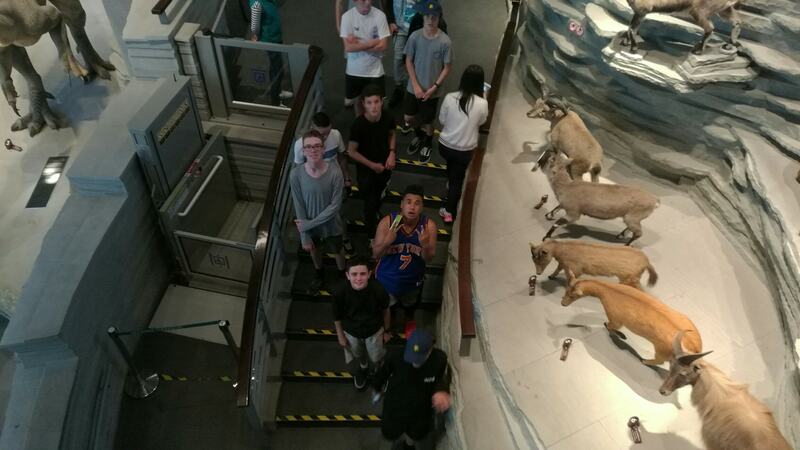 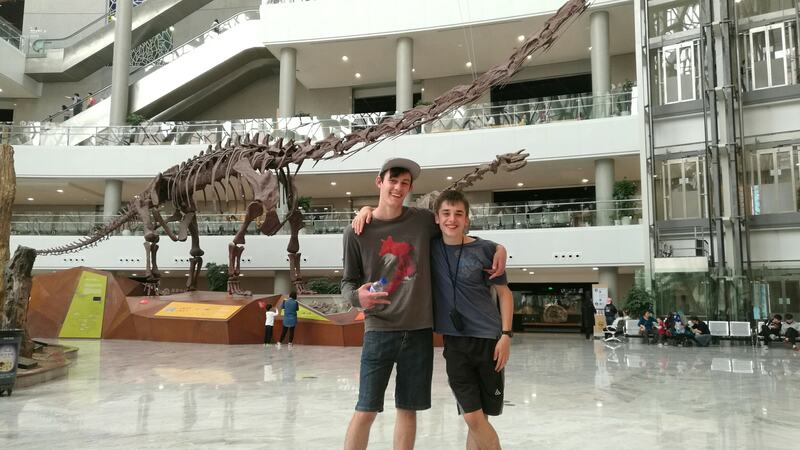 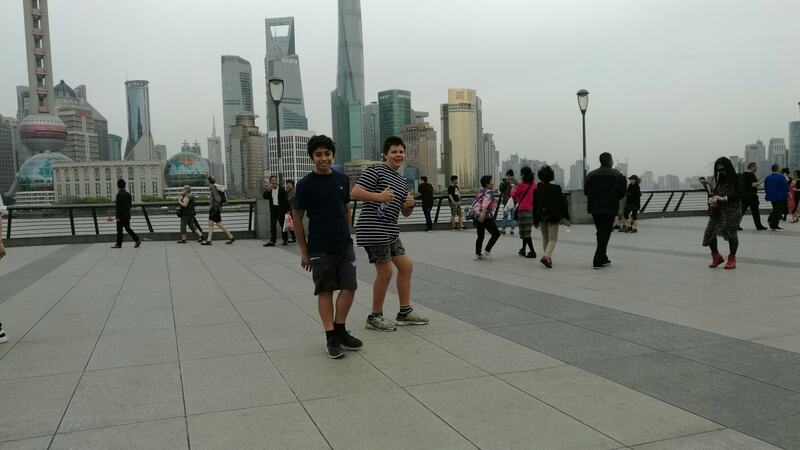 Our first point of call was the Shanghai Museum, which we swiftly explored every nook and cranny of. 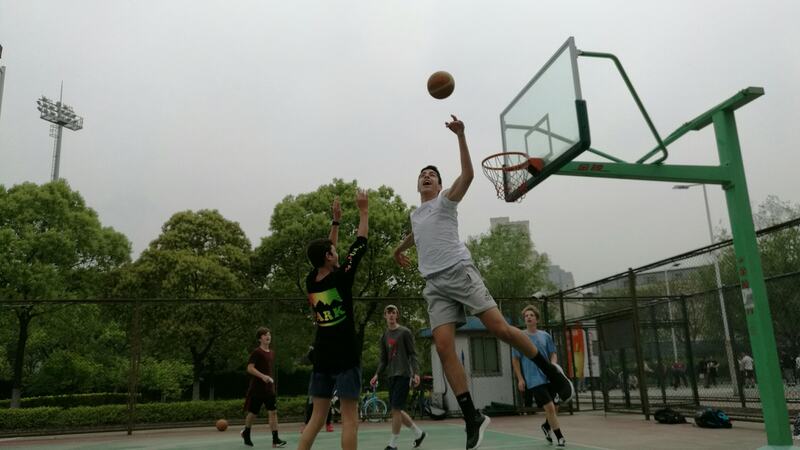 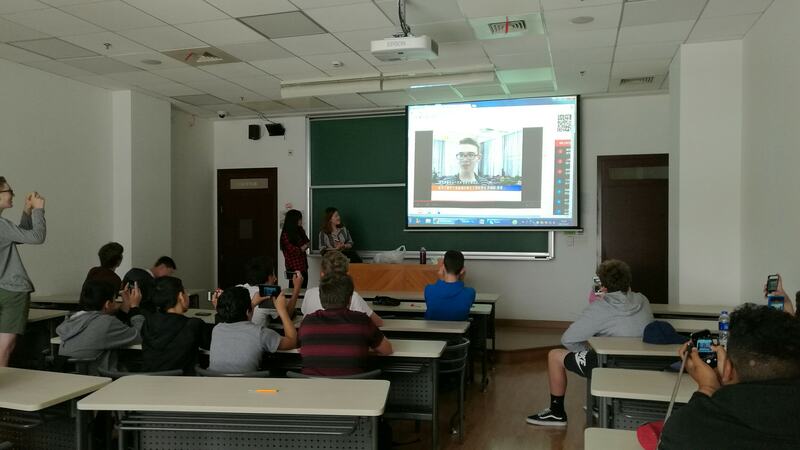 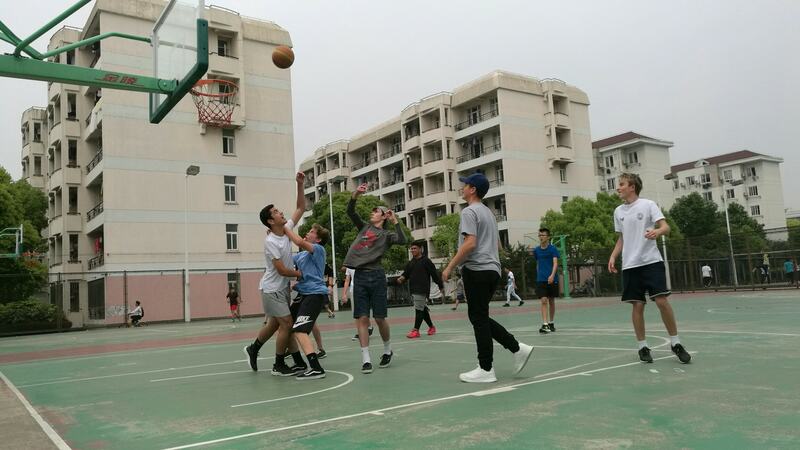 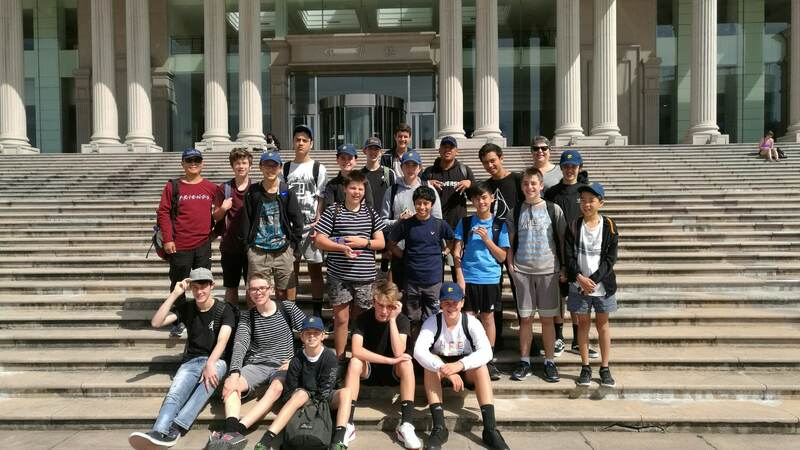 After our first proper Chinese lunch and a quick opportunity to have a shower at the hotel, we continued, this time to our Shanghai hosts at Fudan University. 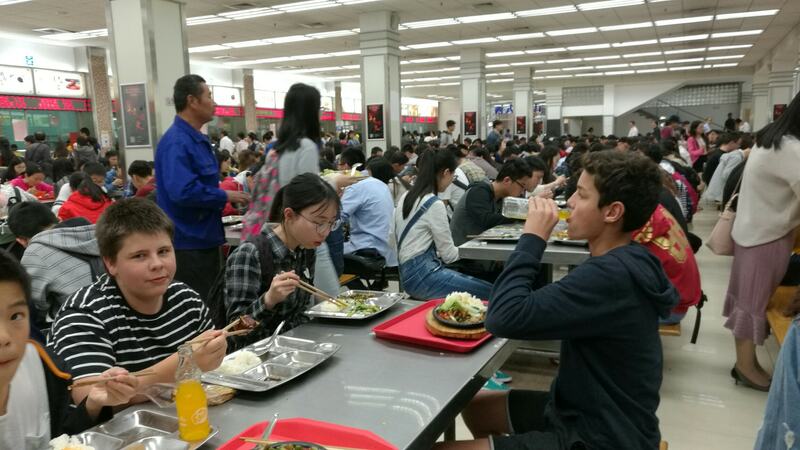 Our initial tests done quickly, we headed to dinner at the Fudan canteen, a three-story maze packed tighter than Auckland trains. 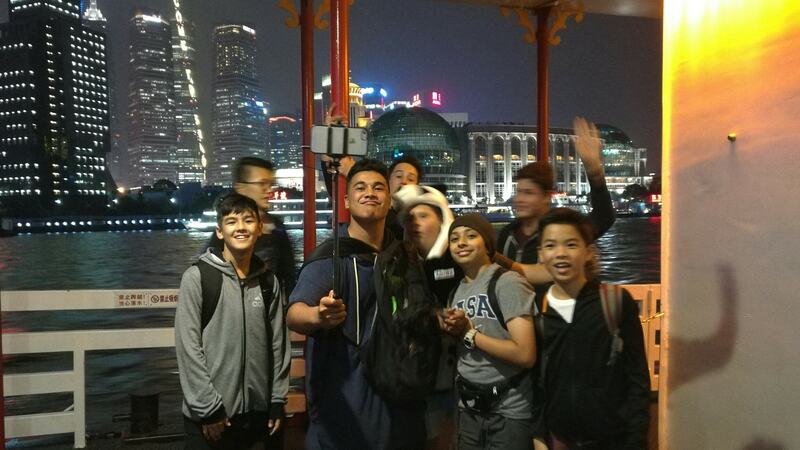 Our next few days in Shanghai went as a blur. 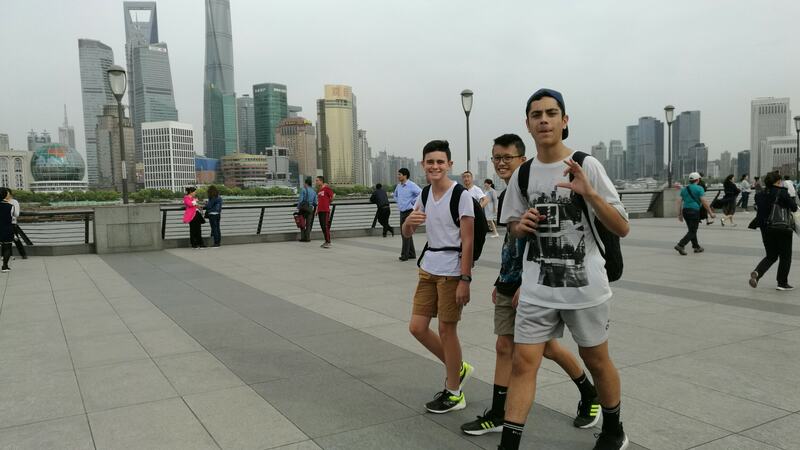 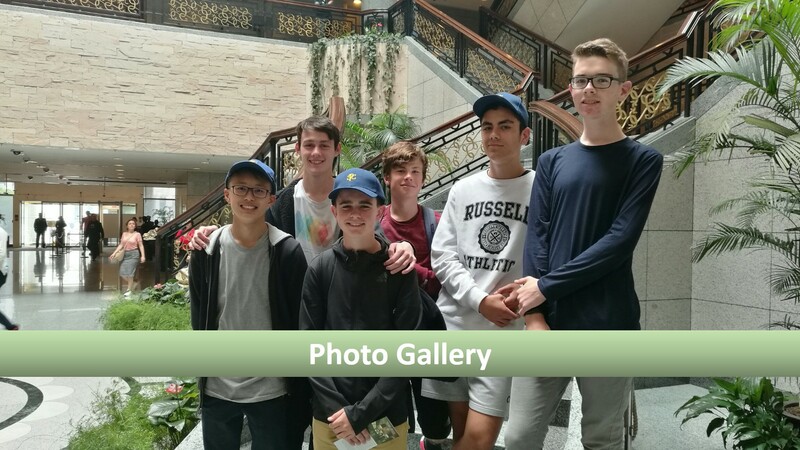 We visited the ancient water town, the Shanghai Natural History Museum, Nanjing Rd, the Botanical Gardens and the Bund, just to name a few. 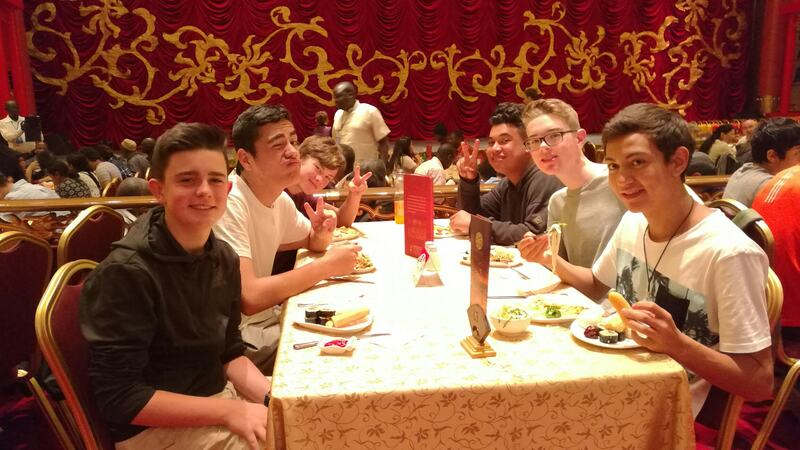 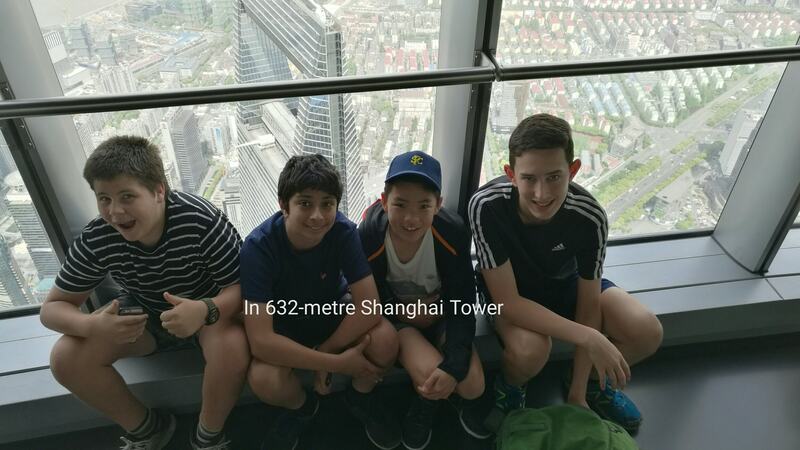 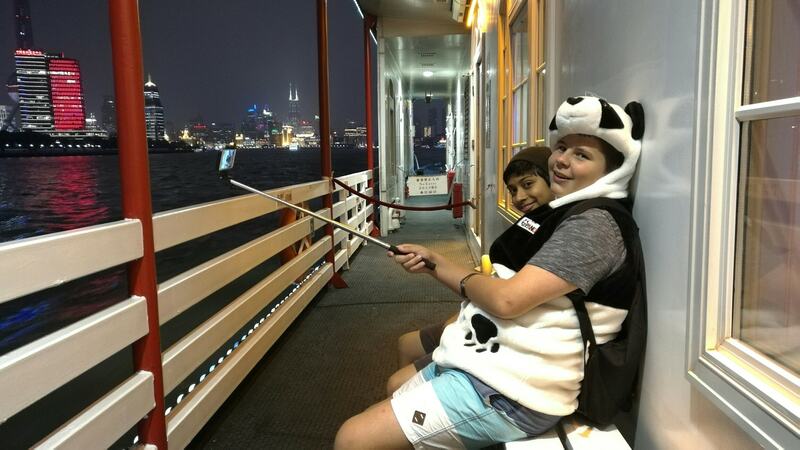 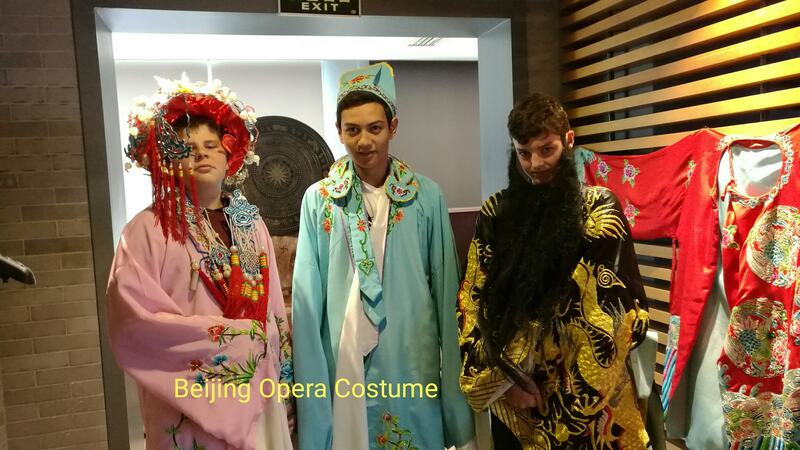 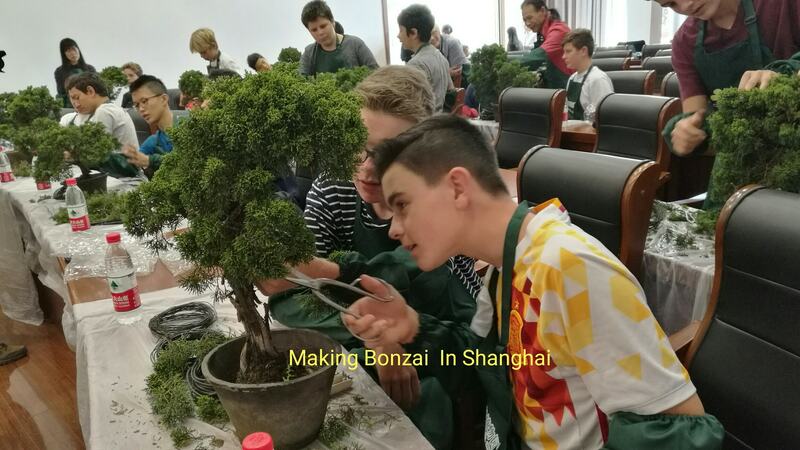 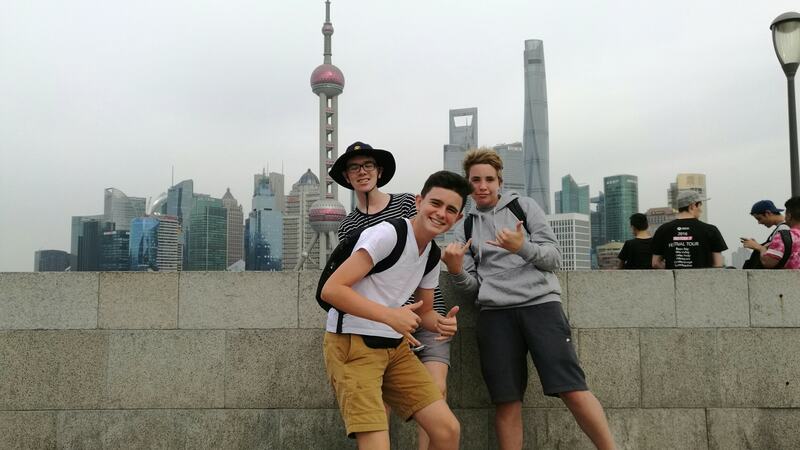 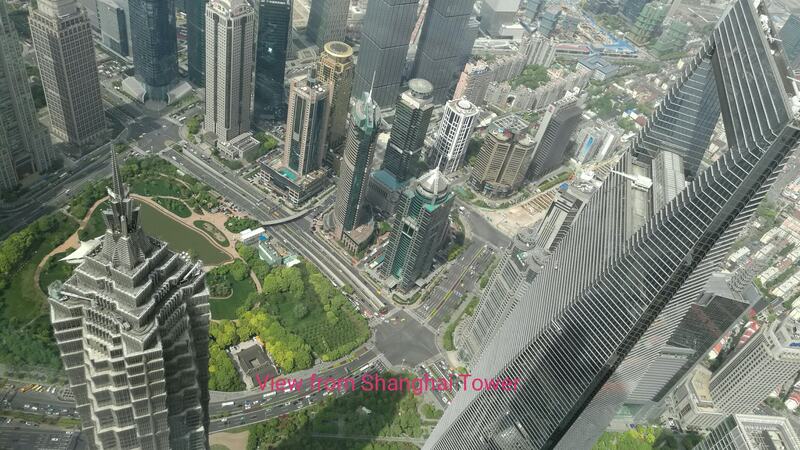 Highlights included the remarkable performance we saw at the Shanghai Circus, which left all of us in awe, and the view from the top of the Shanghai Tower, which has a higher viewing platform than the Burj Khalifa. 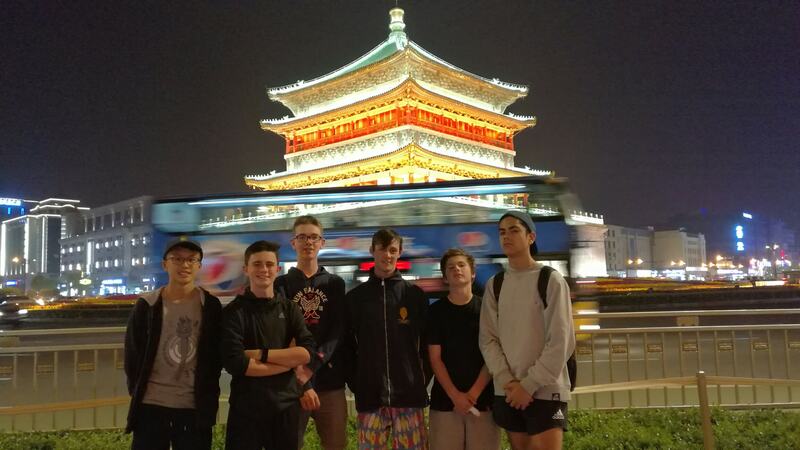 In no time, we found ourselves at Shanghai railway station, ready to board the 15-hour sleeper train to Xi’an. 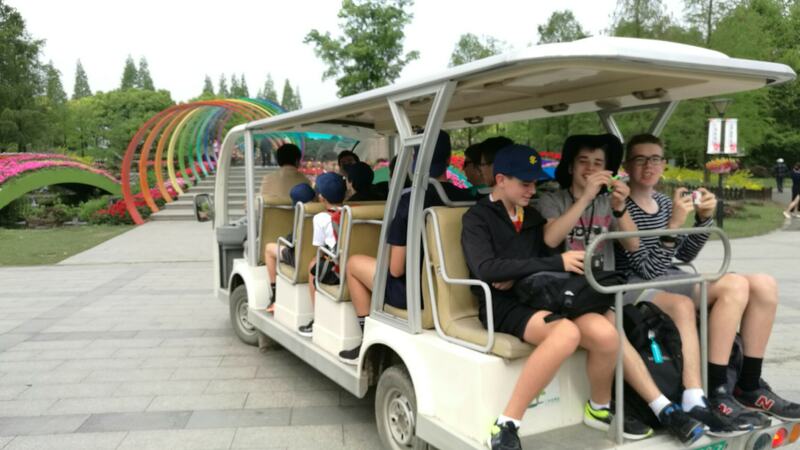 Once there, we made a brief visit to the Shaanxi Historical Museum before checking into our hotel – our best on the trip – less than 200 metres from the very centre of downtown Xi’an. 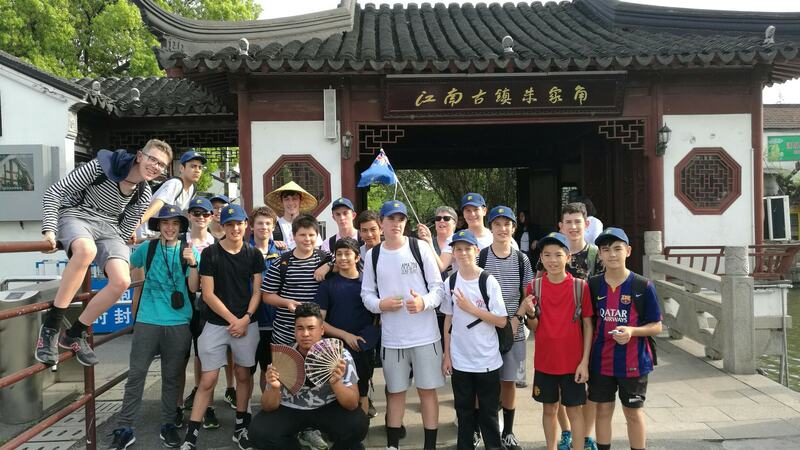 A tiring afternoon later spent with a treasure hunt at the site of the historical Da Ming Palace and we all found ourselves ready to pass out. 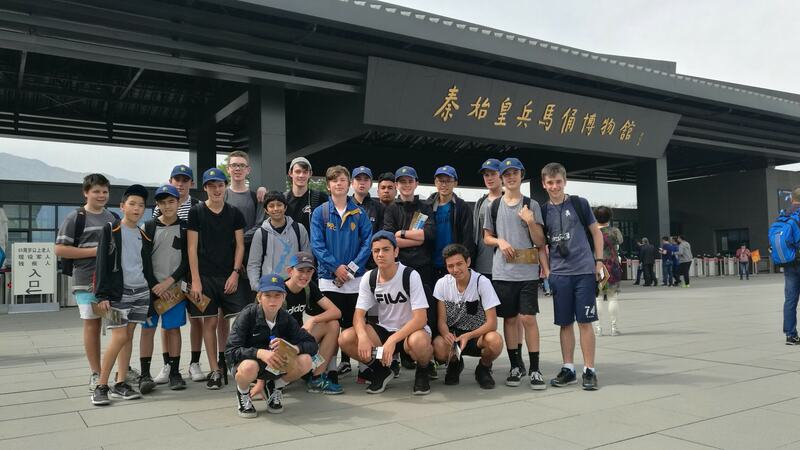 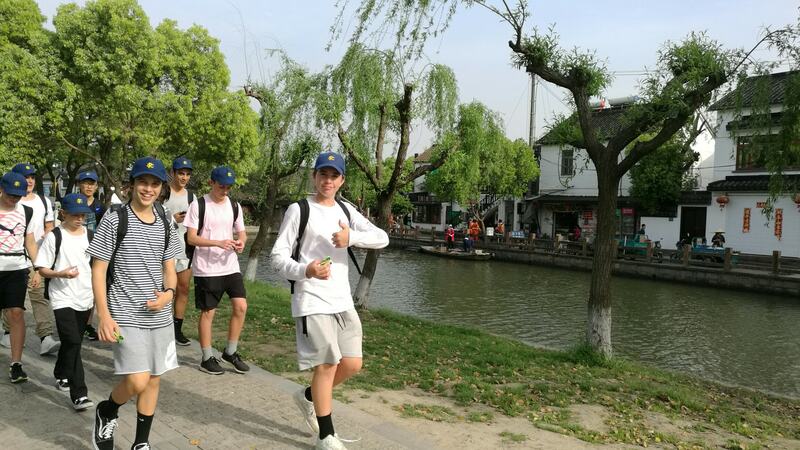 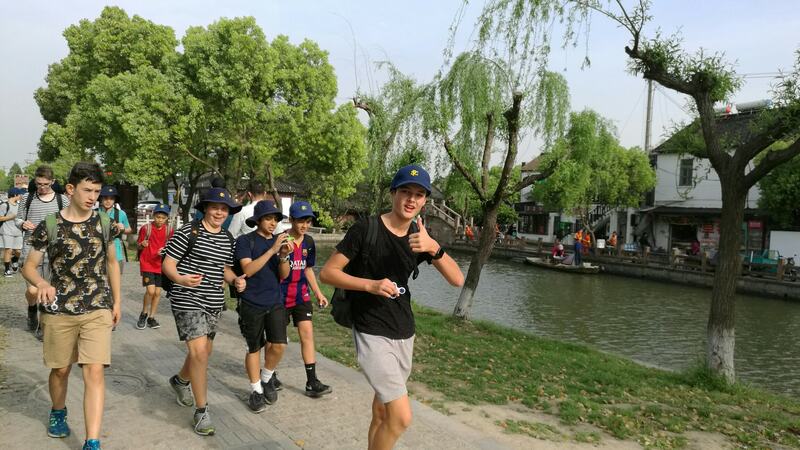 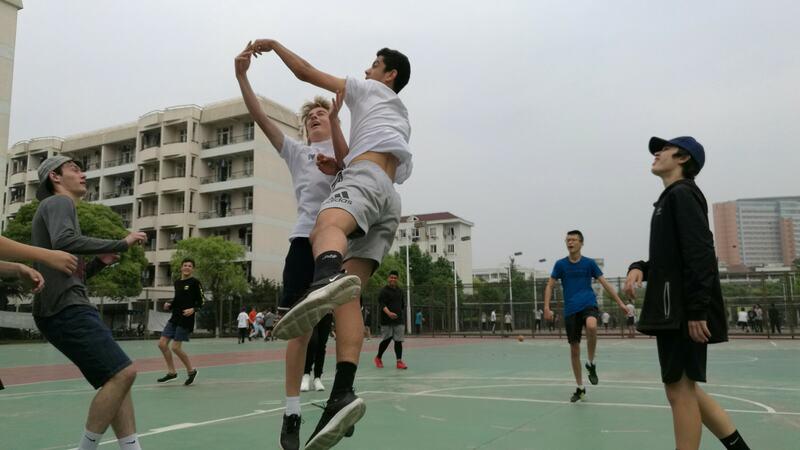 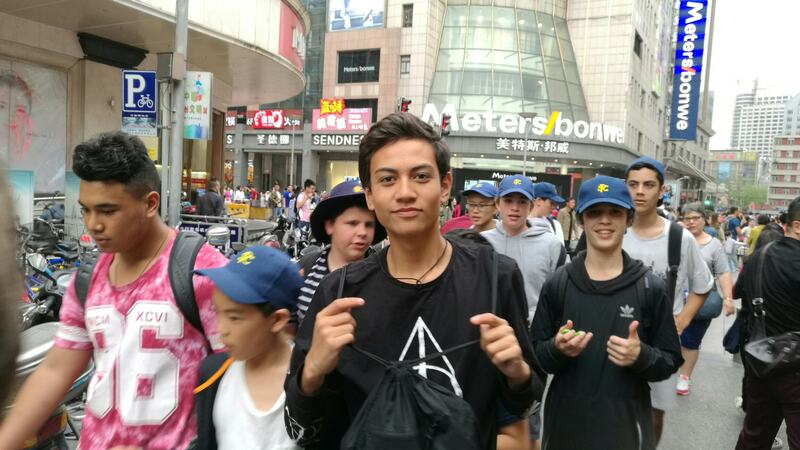 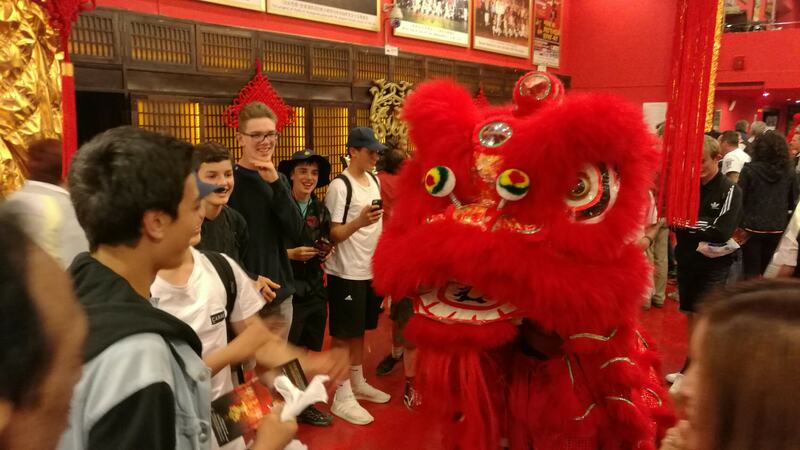 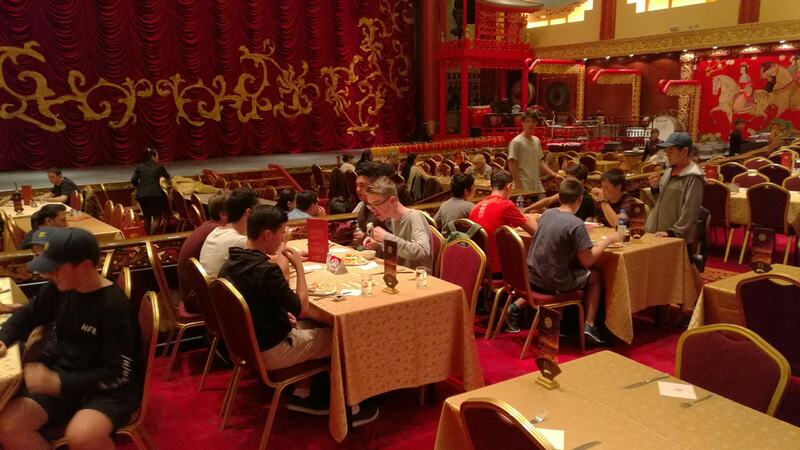 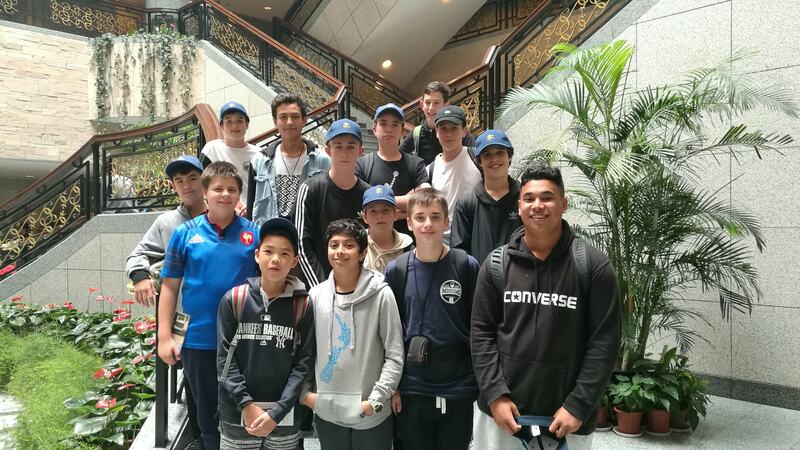 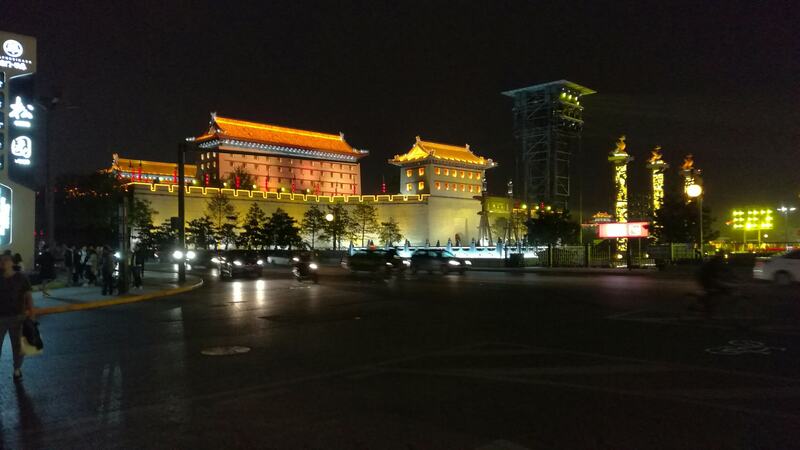 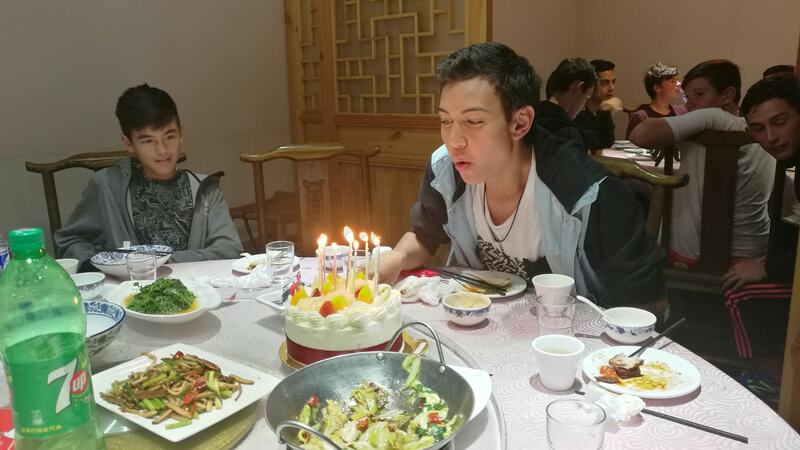 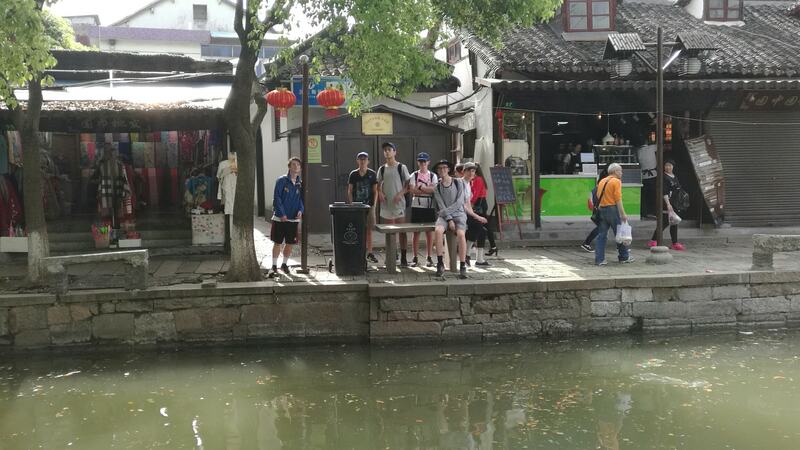 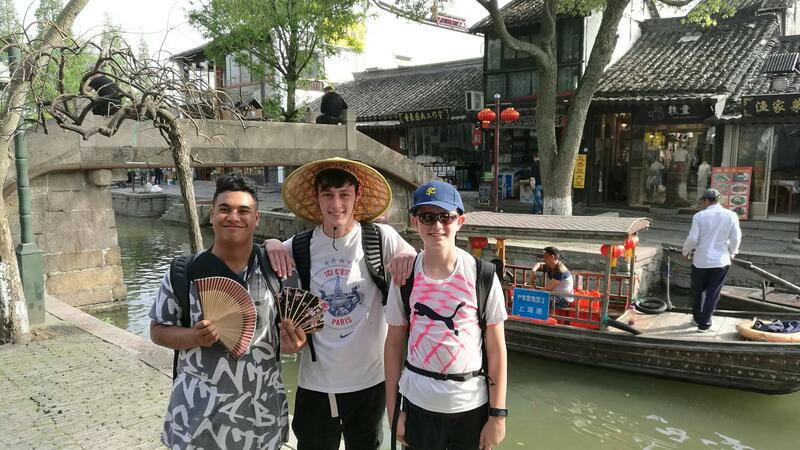 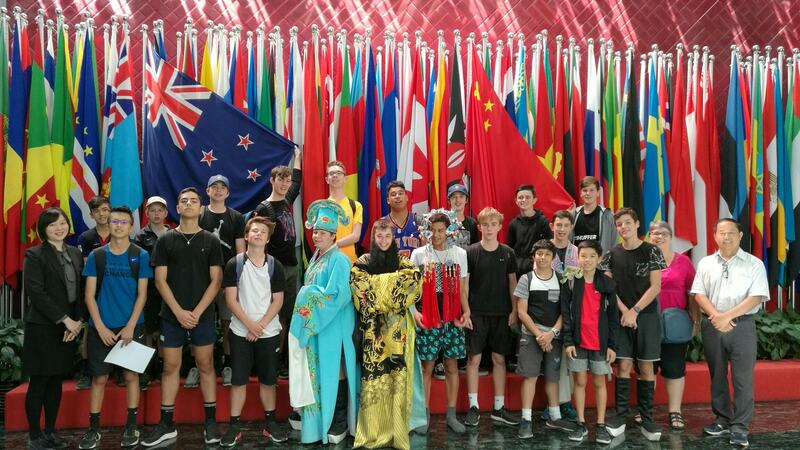 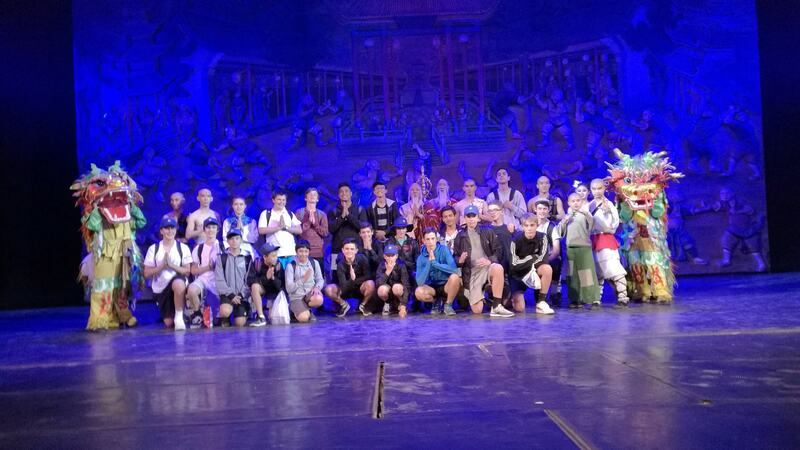 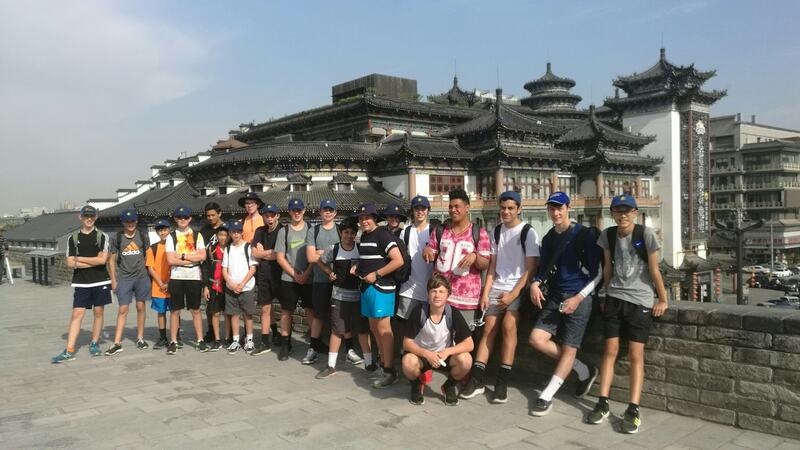 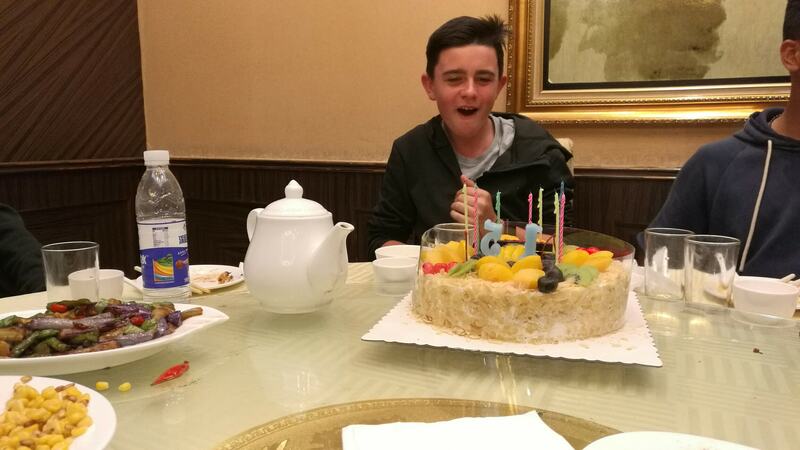 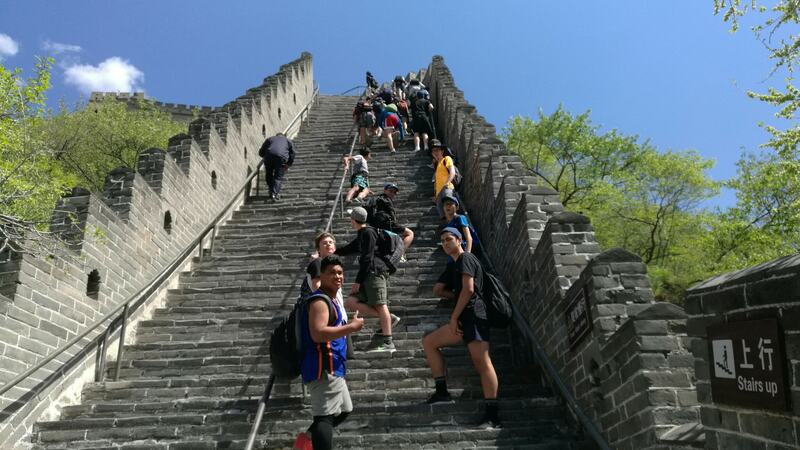 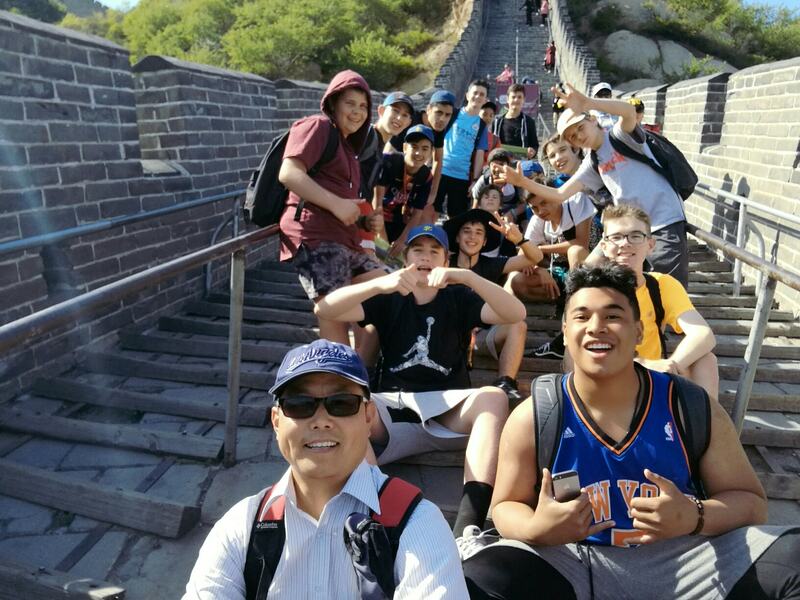 Those plans were fast forgotten however, when Mr Zhang invited the year 11s to check out the Xi’an sights at night – an experience hard to forget. 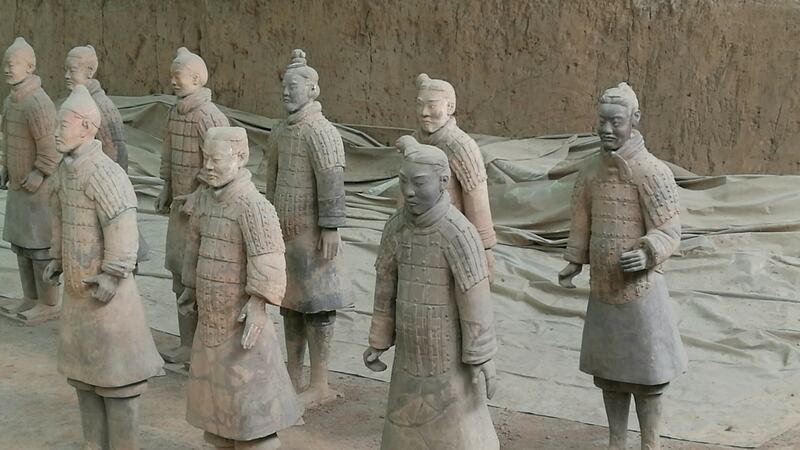 Then came the Terracotta Warriors. 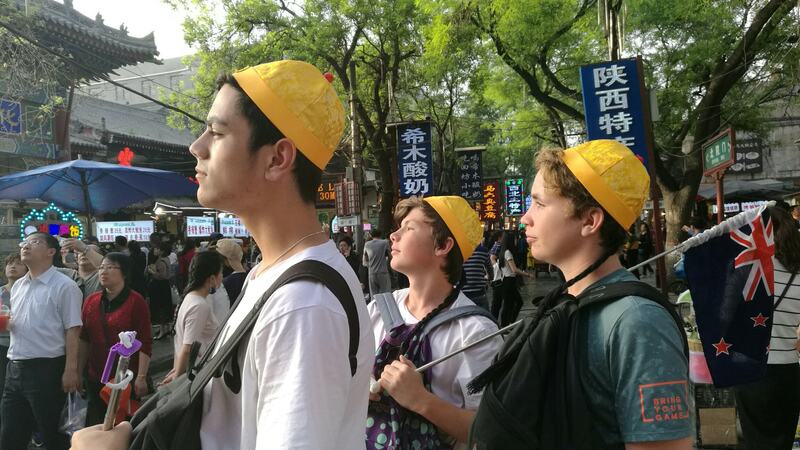 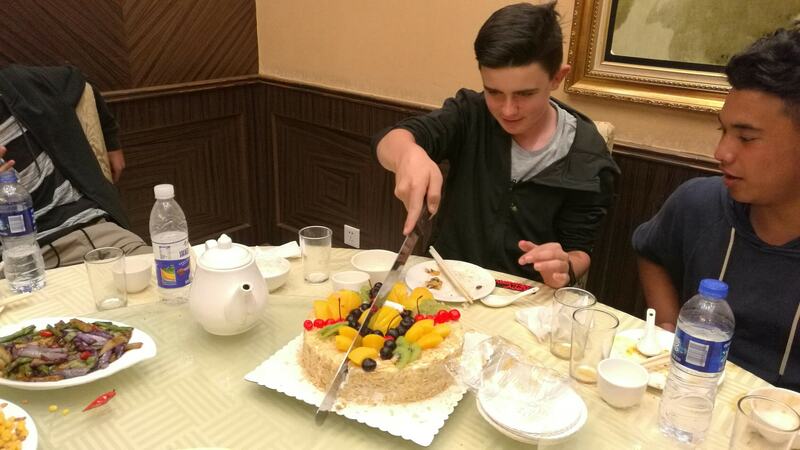 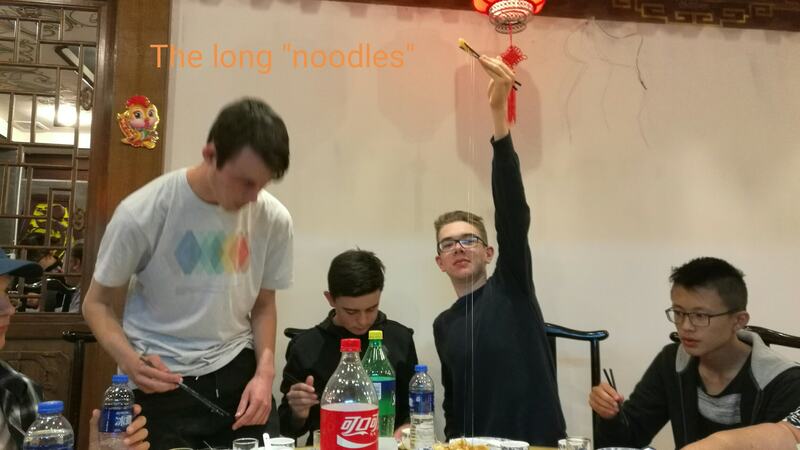 Having spent three hours exploring the various pits and reconstructions, we continued on to next experience a dumpling banquet (17 distinct types), followed by a walk through the famous Muslim Quarter. 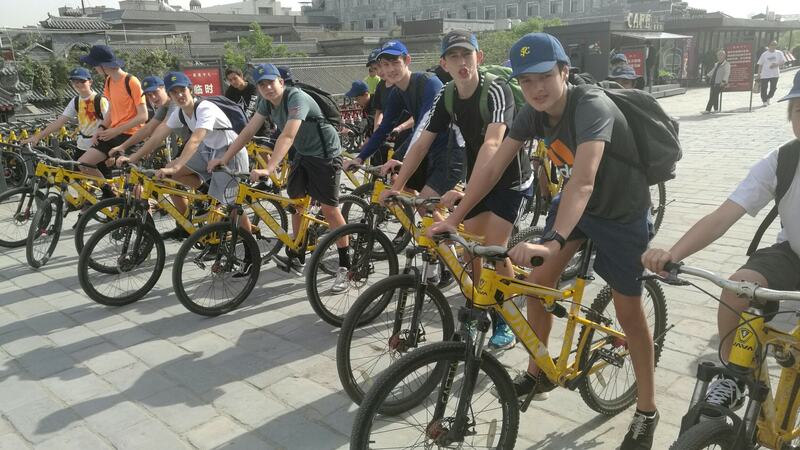 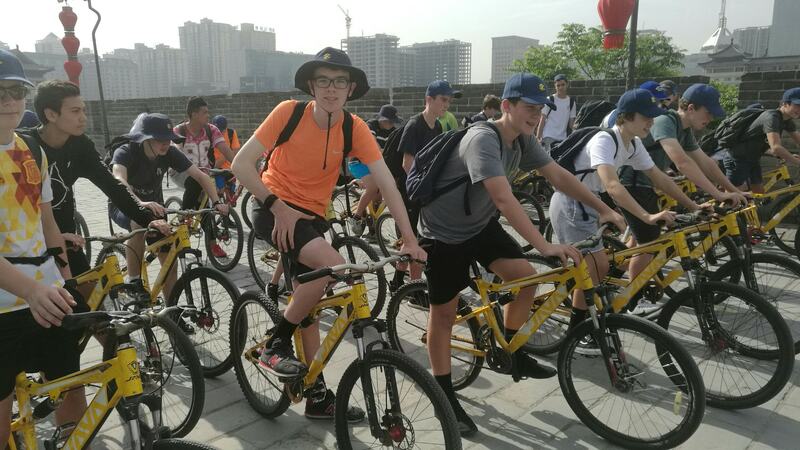 The next morning was a mad rush as we cycled the 14.5km city wall before checking out of our hotel and racing to the train station to catch the high-speed train to Beijing. 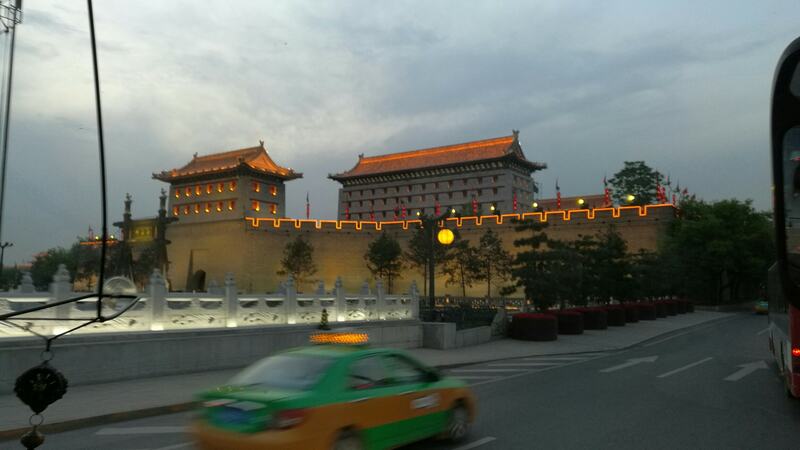 The train journey took 4.5 hours to traverse the 1200km to Beijing, reaching speeds of well over 300kmh. 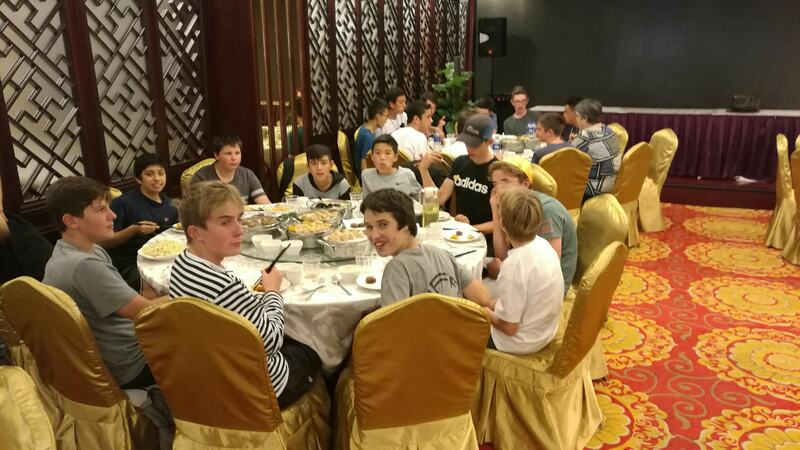 After a short dinner, we checked into our upgraded hotel – a pleasant surprise. 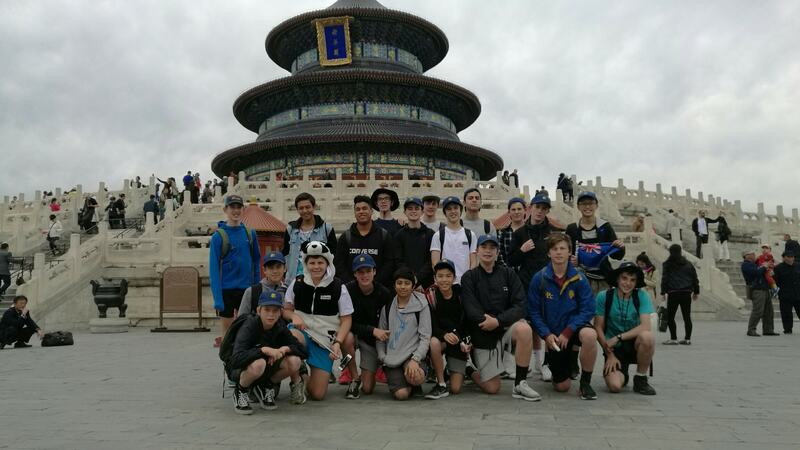 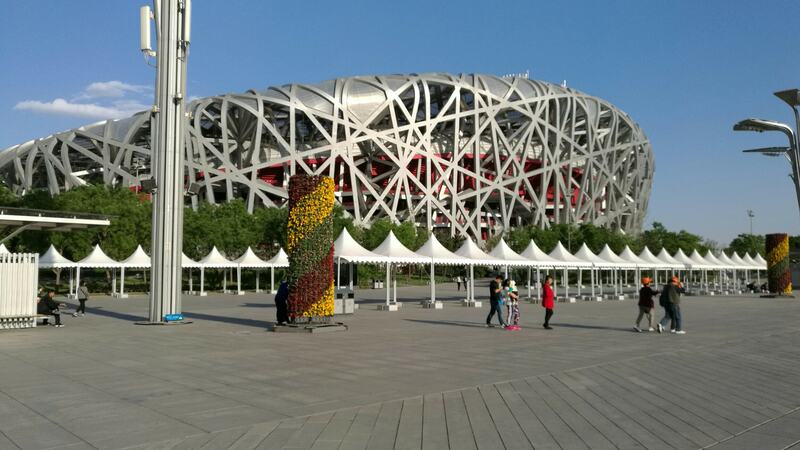 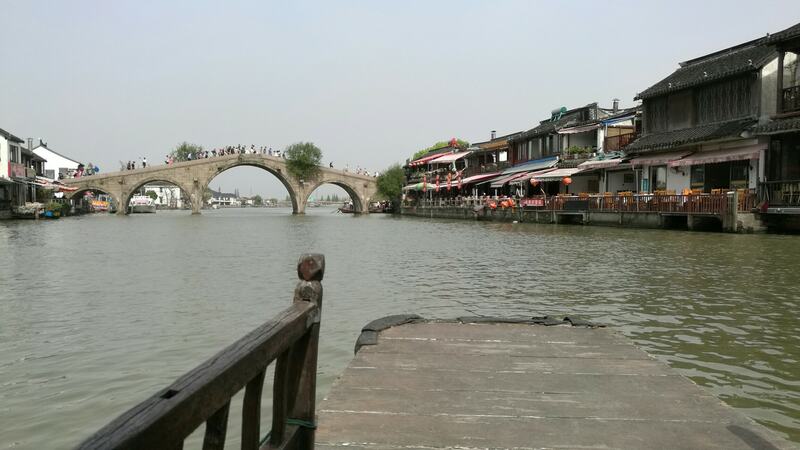 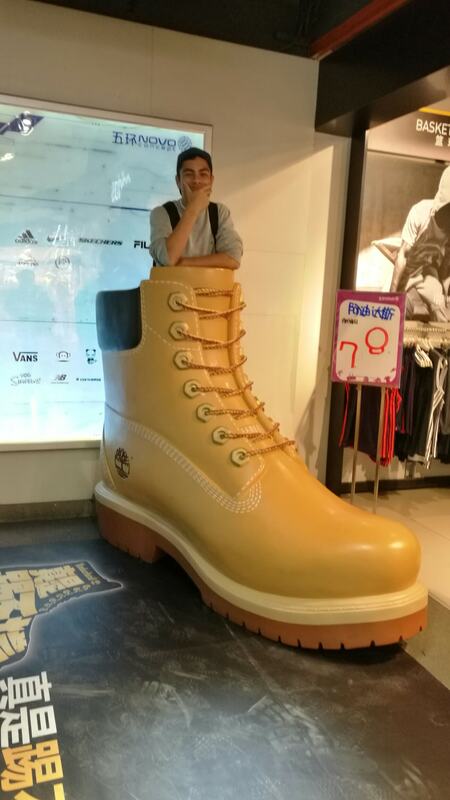 Over the next days, we visited the staples of Chinese tourist attractions – the Great Wall, The Forbidden City,Olympic Park and Tian’an Men Square. 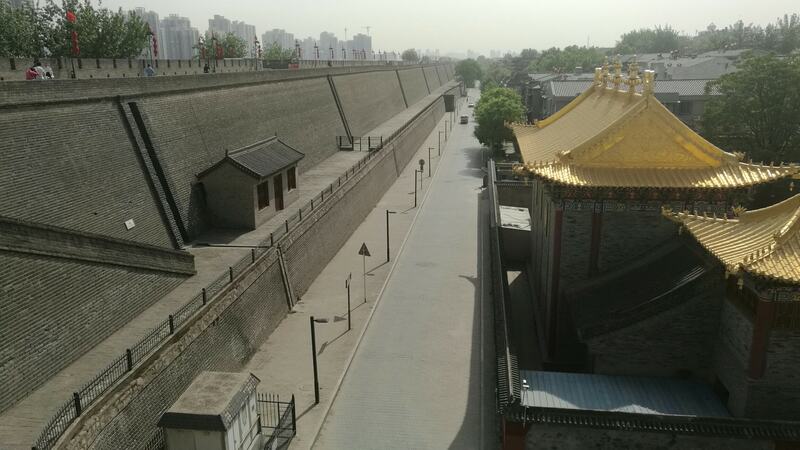 The Great Wall was stunning, and stretched as far as we could see. 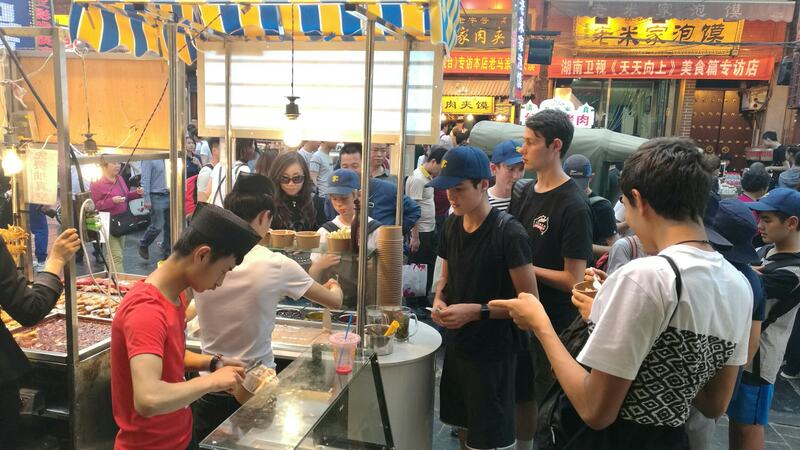 Our Beijing experience concluded with a dumpling making class with a local family, and a rickshaw tour through the narrow streets of the Old City. 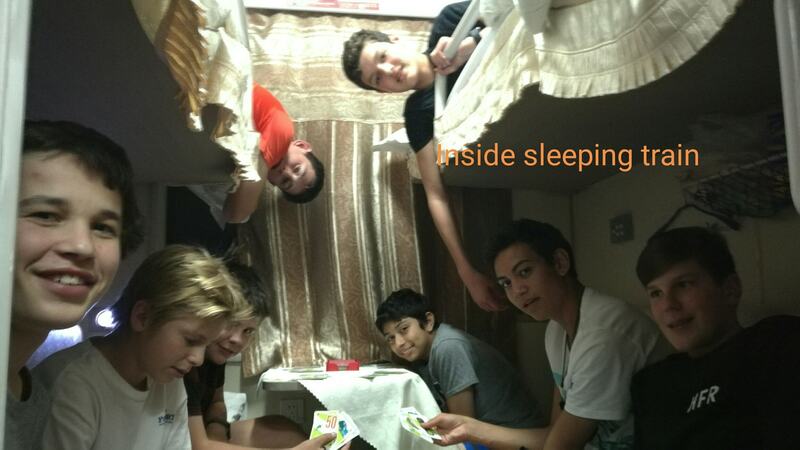 That night, we hopped on an overnight high-speed sleeping train to return to Shanghai for our flights home. 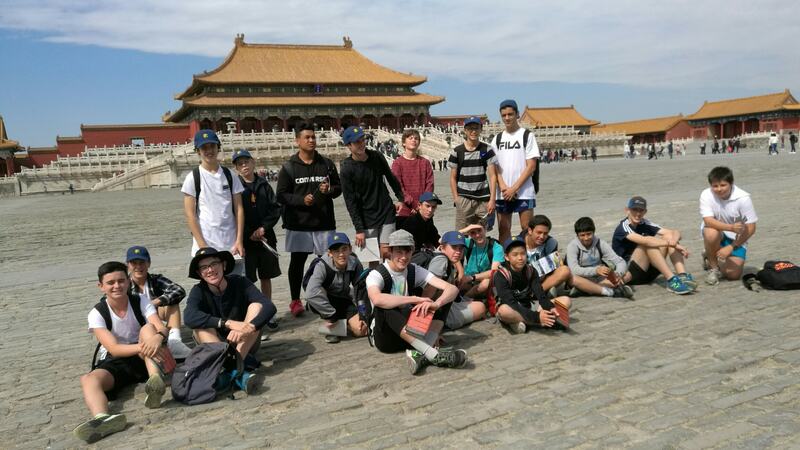 A plane fault meant most of us had finished movies beore take-off, but we didn’t mind. 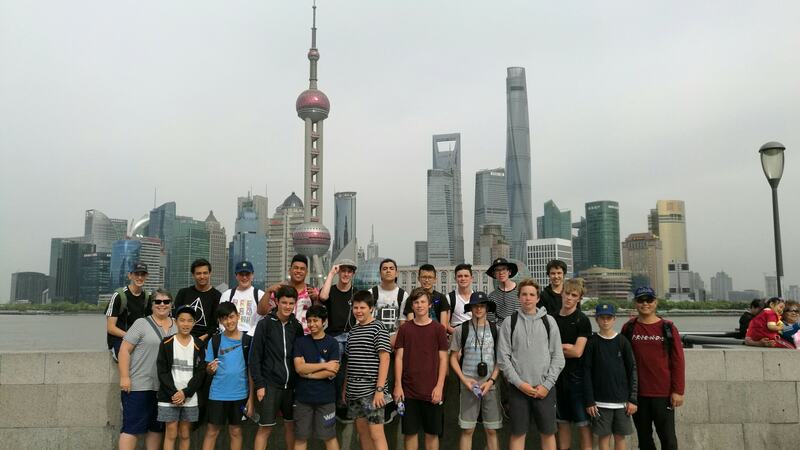 The trip had been an amazing experience – one not possible without the fantastic help of the organisers Mr Zhang, and Mrs Trenberth.